Royal City Cheer started as a very big idea from its Director Nicole Pasacreta. 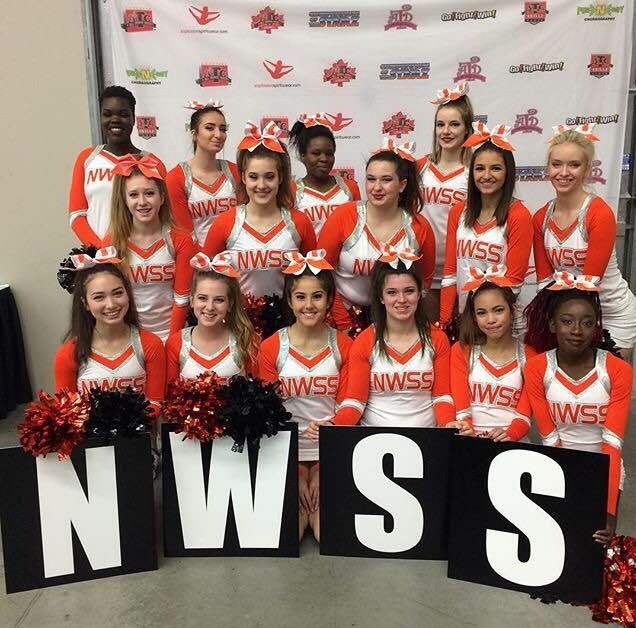 Nicole has been coaching cheer since she was asked as a student at NWSS in 1997. Nicole has helped transform the lives of hundreds of people across the province, many of which have followed in her footsteps and coach in local Cheer clubs today. 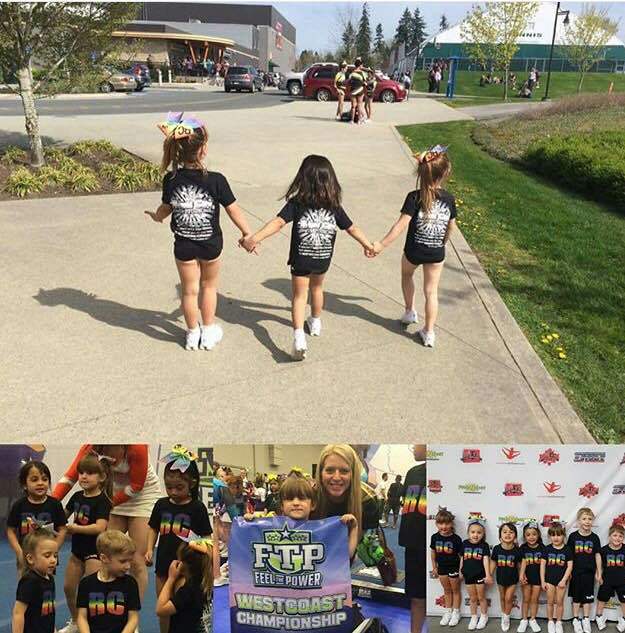 Fast forward nearly 20 years; it was time New Westminster had a cheer program accessible to boys and girls of all ages year round. 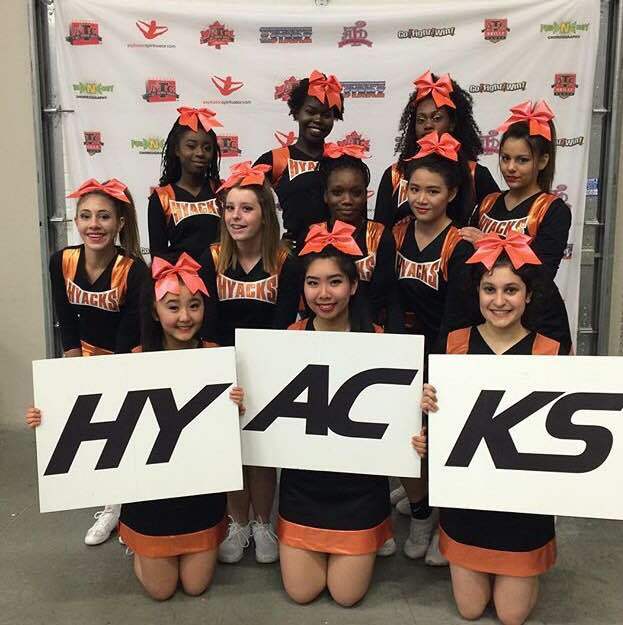 The first step was a very successful cheer camp in 2015 to raise funds for the NWSS Hyacks cheer program. This helped garner interest from the community for the High School Program and to fund travel to competitions. 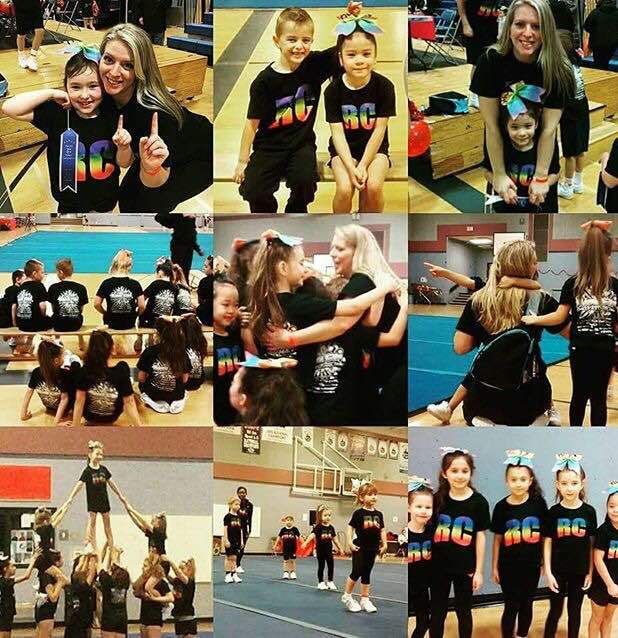 Royal City Cheer and Tumbling became a society in November 2015 and started offering classes out of the NWSS Gym one night a week for beginner’s competitive cheer and tumbling. Boys and girls learn fundamentals, safety, and have fun with events and even get to compete against other beginner teams. When a space became available at 100 Braid Street for sub-letting, it was only natural to jump on the opportunity. The new space would give the opportunity to take that big idea and turn it into a big reality. The space of our own allows a whole new range of classes: All Star & Rec Cheer, Parkour, Summer Camps, Kids Night Out / Parents Night Off, Birthdays, Rentals, Home learners, Field Trips, Pro D Day Camps and more. It also allows space where the NWSS Hyacks cheer teams can practice in an environment with permanent mat flooring, higher ceilings and more safety equipment that doesn’t have to be set up and taken down for each use. The biggest transformation really comes down to the kids in the program. A year ago, my daughter was shy, easily embarrassed and had anxiety over performing in front of just a few parents at an in-class dance recital that reduced her to physical pain and tears. We always assumed she didn’t like team sports because she felt so shy around other kids, but she just couldn’t build up the confidence to actively participate. In the past year, she’s gained confidence, passion for sport and amazing strength- physically and in character. Now she dreams of taking her stunts higher, makes personal goals and has built up the confidence to participate in her school’s public speaking program, perform solos in choir and offer to lead warm-ups when coaches are busy. You can see Nicole swell with pride when she talks about the kids in the program. She told me one day about a parent who called her, in tears, with thanks for the transformation in her daughter. This mother had been afraid for her daughter’s life before she joined. Since she had started cheering, her mental health had improved substantially, she had new quality friendships, and not only did she have more confidence, but even a little sass! There are countless stories like these, where kids who hadn’t participated in sports found a place where they felt important and vital to the team or who had been doing the sport for years and never got the chance to be a leader. On a personal level, I saw my daughter enjoying cheer as much as I did when I was young, having participated from age five to 19, and it reignited a spark in me. I started by offering to form a PAC to help out with fundraising and clean up after practice. After a short time, I decided to get credentialed to be a coach and began volunteering as the assistant coach for the Junior Prep team. I began developing warm-up workouts for the athletes, and started practicing my own tumbling skills at home, so I could set an example for the kids and prepare myself for our open adult team in the fall. There have been physical benefits for me including weight loss and increased endurance, but more importantly, it’s given me the opportunity to teach something I love to others. Cheer today has transformed so much. There are 6 levels to compete in and various age categories and everything is based on safe and continuous progression of skills in tumbling, stunting, jumping, dancing, and the like, so that children can work individually to progress to higher levels. They compete their skill level as a team, in said skill levels. Athletes get individual successes while they improve their own personal skills and progress to higher levels while benefiting from that team environment and the desire to keep learning, keep moving, keep reaching for success. Each person, each position is vital – the bases are the strength and foundation, literally holding the life of others in their hands; the spotters are the safety mechanism to protect while supporting; the flyers must be both brave and trustworthy while doing their own job in the air, with risk and difficulty, all while performing. The best part about it is that the athletes learn to be versatile – often switching up their roles within one routine. A recent change is the addition of Parkour. Nicole couldn’t help but notice her three sons’ obsession with movement in the body – and YouTube videos galore. It seemed there was no comparative outlet for their high energy need to climb, jump, roll and scale obstacles. The closest programs were too far away and expensive, and the idea for including parkour in the dream program was a natural one – “Why not just run it ourselves?” she thought. It included the same elements of tumbling, jumping, timing and precision as cheer. The thing about cheer is that everyone matters. There is no space to focus on one star athlete. Everyone counts. 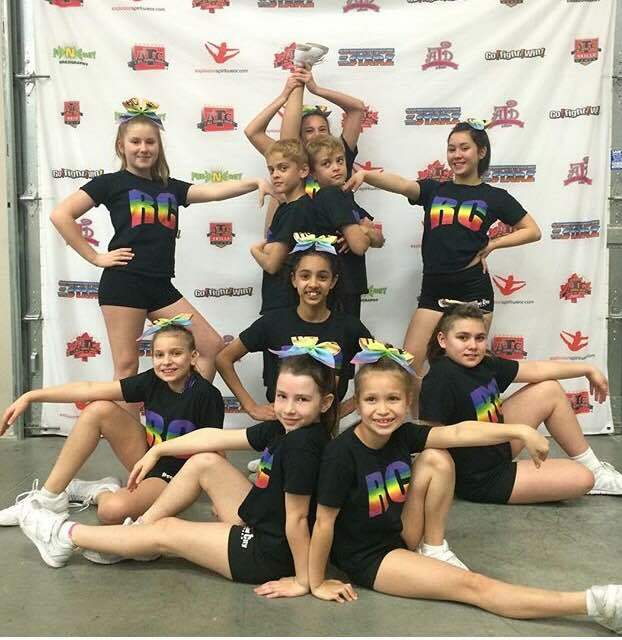 And at Royal City Cheer and Tumbling, the focus is to “embrace diversity”. No matter where they start, if they put the work in, it is astounding what a year will do! Join us at our official opening of the new space is on April 16th, beginning with the 2nd annual fundraiser day camp which includes tumbling, parkour and cheer from 10:00 am to 1:00 pm, followed immediately by a fundraising barbecue and showcase for current athletes to show off what they’ve learned, running from 1:00 to 3:00 in the back parking lot of 102-100 Braid Street. Next PostNext Meet the Press!